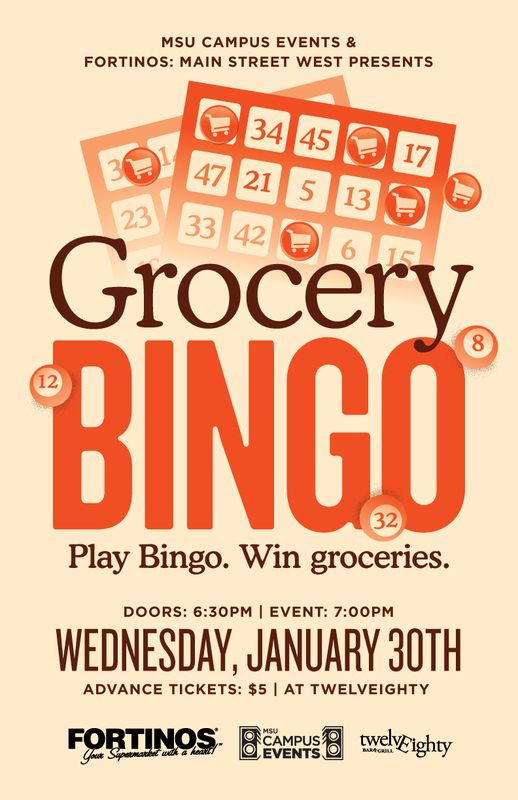 Join us at TwelvEighty for your chance to win GROCERIES! MSU Campus Events has paired up with Fortinos (Main Street West) to bring you the gift of groceries for FREE! All you have to do? Come play some bingo! Also, enjoy some great tips on how to save money and extreme couponing! Limited tickets available. Tickets are sold online and at Compass. If any tickets remain they can be purchased at the door the night of! Be sure to get your spot ahead of time before they're sold out. Doors open at 6:30PM, show starts at 7:00PM. A valid McMaster Student card required for entry.